Little Brazil at The Sydney, Feb. 4, 2011. The bar goes under new management beginning Aug. 1. The big news is that The Sydney in Benson is changing hands. The bar that was once the home of Mick’s (who remembers those days?) became The Sydney in January 2009, with an ownership team that included Jamie Massey of Race for Titles/Ladyfinger fame. Starting August 1, a new team takes over The Sydney, which is located at 5918 Maple St. I originally heard 1% Productions was the new owners. “It’s not really 1% buying the Sydney,” said Marc Leibowitz, who is part of the 1% team along with partner Jim Johnson. “Revamp (our real estate company) is buying the building and business. The New Sydney is Jim, myself, and Jon Tvrdik.” Tvrdik is co-owner of Krug Park (as well as a member of musical outfits Routine Escorts and Back When). Leibowitz said the new management isn’t planning on changing much at the bar, especially in the beginning. “We might replace the sound system and POS system, but no real overhaul,” he said. You already know Har Mar Superstar as that crazy half-naked dude who sings like Justin Timberlake. Well, Har Mar is actually singer/songwriter Sean Tillmann, and he’s taking a break from the Har Mar hi-jinx to perform covers of Sam Cooke songs backed by a full band. The tour has been getting raves, and rolls into The Waiting Room tonight. Tickets are $15, and the show starts at 8 p.m.
Today is the 10-year anniversary of the opening of The Slowdown. The club’s public inaugural show, Friday, June 8, featured Little Brazil, Domestica, Art in Manila, Now, Archimedes!, Flowers Forever and Cap Gun Coup. Neva Dinova headlined the Saturday, June 9 show, with Bear Country, Ladyfinger, The Terminals and Mal Madrigal. Ah, those were the days. To mark the occasion — and to properly recognize the 10-year anniversary of The Waiting Room’s opening — I wrote the following article for The Reader that talks about the clubs’ origins and how they’ve managed to not only survive, but thrive, 10 years later. Maybe we should have done this story in March when The Waiting Room hosted a month-long celebration, because The Slowdown is doing nothing publicly to mark the occasion. Oh well. Over the course of a decade, venues The Slowdown and The Waiting Room have transformed Omaha’s live music scene. 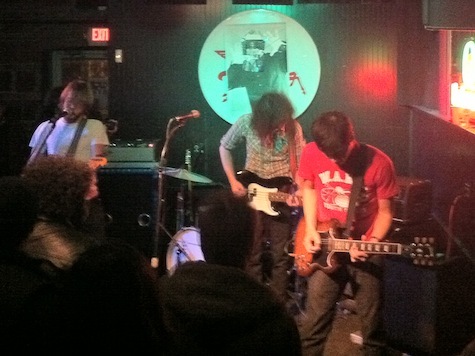 Try to remember the way it was before The Slowdown and The Waiting Room opened 10 years ago. Your choices for seeing an indie rock show were limited to Sokol Underground, the dark, smoky (remember, you could still smoke in clubs back then) basement of Sokol Auditorium located on South 13th Street. While somewhat large (its capacity was at least 400), the room felt strangely claustrophobic, with sight lines marred by metal support poles strategically placed in the most inopportune places. And while there was a decidedly punk-rock/DIY feel to the joint — and a surprisingly good sound system — Sokol Underground always felt temporary. It didn’t stand alone. Shows also were hosted at The 49’r, O’Leaver’s, Mick’s and the odd west-Omaha bar, house or hall that splurged on a PA. BY 2007, rock destinations, like the all-ages punk club The Cog Factory and everyone’s favorite bowling alley, The Ranch Bowl, were long gone. But folks in the scene knew things would change. They had to. 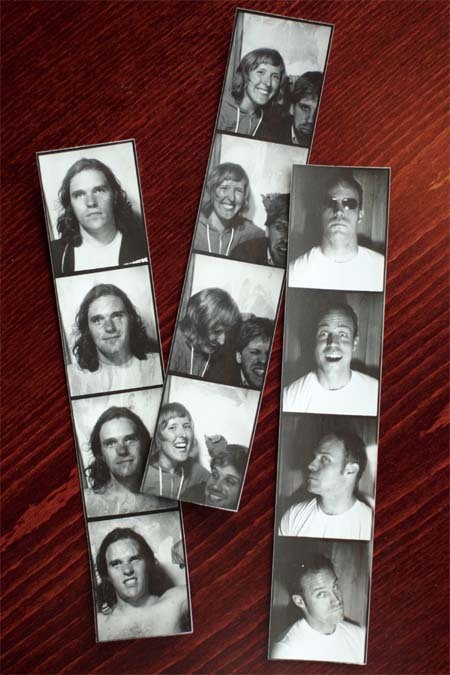 In 2007, Omaha was still basking in the afterglow of national notoriety for its indie music scene, thanks in large part to One Percent Productions, who had a rep for booking the best touring indie acts, and Saddle Creek Records, home of indie superstars Bright Eyes, The Faint and Cursive (among others). For Omaha to take that next step, it needed a first-class music venue (or two) for bands to show their stuff. 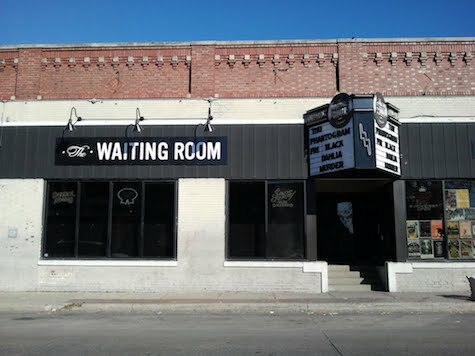 The Waiting Room, located in the heart of Benson, was the first to open in March 2007. The Slowdown, located in the yet-to-be-established North Downtown area, would follow in June of the same year. The clubs would grow to become focal points of their respective business districts, revitalizing the areas. But it didn’t happen over night. 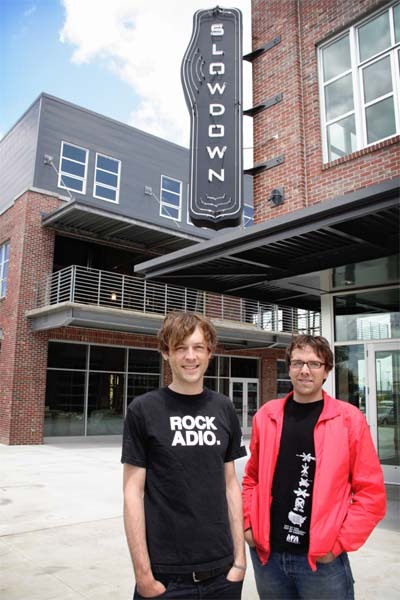 Robb Nansel, left, and Jason Kulbel in front of The Slowdown, circa 2007. Jason Kulbel and Robb Nansel were more known for their record label — Saddle Creek Records — than their experience running music venues or promoting rock shows, though both had booked a handful of notable shows at Sokol Underground in the early part of the 2000s. In 2005, Saddle Creek was enjoying what arguably was the height of its national fame, and likely the peak of its revenues, as all three of its crown jewels — Bright Eyes, Cursive and The Faint — were producing the best albums of their careers. For years, Kulbel and Nansel had a shared vision for opening their own music venue, but it was Kulbel who had been lured back from California in 2000 solely for the purpose. The old Magic Theater on South 16th Street also was considered “pretty heavily,” Kulbel said. But by 2004, he and Nansel had gathered enough seed money from Saddle Creek’s success that they decided to build rather than renovate an older building. Their first location choice was a small commercial district just west of Radial Highway along North Saddle Creek Road, next to one of Omaha’s most iconic bars, The Homy Inn. It would be Omaha City Councilman Dan Welch, who knew the neighborhood would never support them, that convinced Kulbel and Nansel to look elsewhere. He introduced them to City Planner Bob Peters who pointed out the property where The Slowdown now resides, an area just north of downtown Omaha. 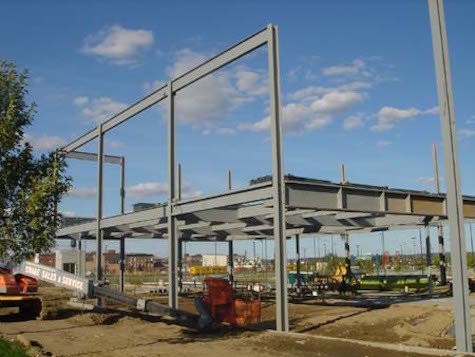 Construction begins at The Slowdown complex, Sept. 25, 2006. It was Todd Heistand of NuStyle Development, who was redeveloping the nearby Tip-Top Building, that convinced the duo to build more than just a club and headquarters for their record label. Rachel Jacobsen, the genius behind Film Streams, came on board next. With a sizable loan and some attractive tax incentives, Kulbel and Nansel bought the land from the city and began laying out their plans for their dream club. About a year and a half after buying the land, The Slowdown opened on June 8, 2007. Of the roughly 150 events booked at The Slowdown each year, Kulbel said probably two-thirds are booked in the front room. Kulbel said financially, the club’s early years were thin. “There were times in 2008 through 2010 when we were taking out loans to make payroll,” he said. As a result, the Slowdown began to broaden the style of music it booked. That fact played into the three milestone events over the life of the club that Kulbel said radically changed his views of how the Slowdown was run. The 2007 staff, from left, Slowdown sound engineer Dan Brennan, hospitality/event coordinator Val Nelson and bar manager Ryan Palmer. In addition to doing hospitality, Nelson, who had moved from Kalamazoo, Michigan, to take the job, also handled the club’s back office and dabbled in bookings. When she left Slowdown, Kulbel immediately took over her responsibilities, which he wasn’t ready for. The second milestone was the shooting that took place Halloween night 2015. According to published reports, 28-year-old Jamar Fields was shot and killed inside the back door of The Slowdown after a brawl. The club closed for a few days following the incident. 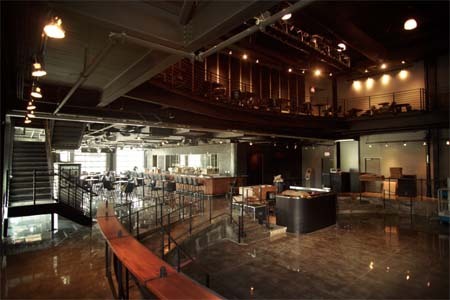 When it reopened, Kulbel said for the first few weeks, “you could cut the tension in the room.” Patrons returned to shows, but the possible after-effects of the incident didn’t hit Kulbel until he received a call from the mother of a bride who had planned to host a wedding reception at The Slowdown the following summer. Unfounded rumors of Slowdown’s possible demise due to lawsuits or the club’s perceived inability to acquire insurance rattled through the scene. But less than two years later, the incident is behind them. The final of the three milestone was Slowdown’s decision in January of this year to sign a deal with Knitting Factory Entertainment to take over the lion’s share of the club’s booking. The new relationship also frees up Kulbel to focus on he and Nansel’s real estate holdings. Their tenants include Blue Line Coffee, Urban Outfitters, Hook and Lime, Trap Room, Slowdown and the recently opened Zipline Brewery in the space that used to house Saddle Creek Records’ warehouse. The Slowdown days before opening in 2007. Today, the once vacant lots that surround their property are now filled with hotels, apartments, restaurants and the massive TD Ameritrade Park, home of the NCAA Men’s College World Series. If you wonder why Nansel isn’t quoted in this article, it’s because he currently lives in Los Angeles, where Saddle Creek Records has additional label operations. A little over three years ago Kulbel separated himself from label operations, which is Nansel’s full-time focus. Why the split? Though neither are involved in the other’s day-to-day operations, the two touch base every Tuesday via phone, though Kulbel says he knows more about what’s happening at the label from talking to Omaha-based Saddle Creek personnel, who still have offices above Slowdown. For Nansel, the challenge for Slowdown’s next decade is staying relevant and staying open. He now knows that an unexpected catastrophe could spell the end. Still, “I think the club business is a good thing to be in,” he said. “I think people are always going to want to go to shows and have a couple drinks and go home. If you were going to place your bets on a portion of the music industry, I think running a club is a pretty safe place to bet. Marc Leibowitz, left, and Jim Johnson a few days before the March 9, 2007, grand opening of The Waiting Room Lounge. The Waiting Room’s origin story goes back well beyond 2007. 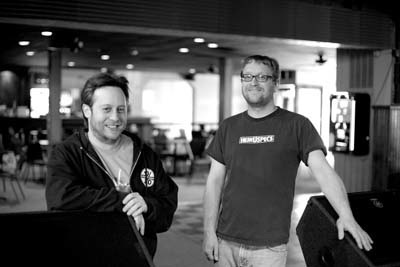 Working under the moniker One Percent Productions, Marc Leibowitz and Jim Johnson have booked the best indie shows in Omaha for more than 20 years. Remember that amazing Arcade Fire show in November 2004? It was a One Percent Production. Or that time when Sufjan Stevens played at Sokol Underground with his cheerleader orchestra during his Illinois Tour in September 2005? A One Percent Production. How about when Interpol played at Sokol Underground during a blizzard in January 2005? Again, a One Percent Production. Those and thousands more shows earned Johnson and Leibowitz the reputation as the best indie rock bookers in the area, playing a pivotal role in exposing an entire generation of future Omaha musicians to the music that would influence their careers. Leibowitz said their needed investment to open in Benson was minuscule compared to what it would have cost to go into a new development, like Midtown Crossing. But the gamble was whether they could get people to come to this forgotten district of Omaha. Forcing their hand was the fact that Johnson had just quit his full-time job and Leibowitz had gotten laid off from his. It was ‘Try it now or never try it,'” Leibowitz said. The financing was straight-forward — the duo used their life savings as collateral to get a loan to cover the balance of the $100,000 needed to remodel what had once been a biker bar called Marnie’s Place, and years before that, the legendary Lifticket Lounge where Nirvana once played. Instead, those improvements would come over time as The Waiting Room quickly began to build its rep one of the hottest clubs in town shortly after opening on March 9, 2007. That means booking shows that draw crowds. Leibowitz said staying relevant in terms of the acts it books is one of their biggest challenges, especially as they get older and music changes. “The music’s not the same in your 40s as it was in your 30s or 20s,” he said. Leibowitz says booking shows isn’t difficult; booking successful shows is. At the same time, tickets prices have risen, along with the costs associated with running a live music venue. Agents now have assistants marketing the bands, which means more demands on the venues and local promoters. “There’s a lot more work per show than I think there ever has been,” Leibowitz said. Leibowitz and Johnson balanced their risks by diversifying their business in the form of real estate. Since opening The Waiting Room, the duo have bought the building that houses the club, as well as the building across the street that houses Krug Park and restaurant Lot 2. They also own the building that houses restaurant Au Courant and are closing on yet another building in the area. There’s little doubt that 10 years after The Waiting Room opened, Benson has evolved into one of the city’s most robust entertainment districts. Those once empty storefronts are now filled with new bars, restaurants and other businesses that may not have taken a gamble on Benson if Leibowitz and Johnson hadn’t. Yet another property Leibowitz and Johnson purchased houses Reverb Lounge, a new bar and music venue that the duo opened in September 2014, just around the corner from The Waiting Room on Military Ave. The space provides a high-quality venue for shows too small for The Waiting Room. Despite diversification, The Waiting Room remains Johnson’s and Leibowitz’s first love. And though it’s renowned for the national touring shows One Percent books on its stage, Leibowitz pointed to another factor. From a national booking standpoint, Leibowitz recognizes they need to give the people what they want. “There’s a lot of shows that you have to do in order to fill your calendar,” Leibowitz said. “We’re in the concession business. We need to get people in to drink, and that’s the ultimate part of running the venue — striking that balance between booking what people want to see and what you want to put on. So does Leibowitz think The Waiting Room will be around for its 20th anniversary? Has it really been 10 years? Guess it has, though it doesn’t seem like it. When the venue opened March 9, 2007, there was never any doubt in my mind that The Waiting Room would still be in operation a decade later. And sure enough, here we are. The club is bigger and better than ever, and arguably was the keystone on which the Benson revitalization was built upon. I’m not going to get all maudlin and nostalgic about the club or the people behind it (I’ll save that for The Reader article, which I’m hoping to write for the June issue). Instead, here’s the original interview with Waiting Room founders Marc Leibowitz and Jim Johnson from the March 8 2007 issue of The Reader (and entry on Lazy-i.com) where the dynamic duo explain why they built the club and their plans for the future. Actually, before we get to that, tonight is the official 10th Anniversary show featuring Conor Oberst and The Felice Brothers. This one has been sold out for a long time. The club is having an invitation only celebration prior to that show, though everyone is invited to the 10th Anniversary After Party featuring Har Mar Superstar at Reverb Lounge. Tickets are still available for that one for $10, but I suggest you buy them before it, too, is sold out. Har Mar starts at 11 p.m.
A mere month after taking possession of the building that used to house Marnie’s Place, D Dubs and the legendary Lifticket Lounge, The Waiting Room in the heart of Benson is ready for business. Its owners — Jim Johnson and Marc Leibowitz — are ready for business as well. Since getting the keys from the landlord, a visibly worn but excited Johnson has spent 12 hours a day every day cleaning, painting and repairing the facility, from building a gorgeous new bar to upgrading the stage to remodeling the bathrooms, and he’s not through yet. One week prior to its grand opening more work still needed to be done. The Pepsi guy was scheduled to show up the next morning, more tables and chairs were on the way, a collection of posters from past One Percent Productions shows (what the duo is known for) had yet to be hung and the booze hadn’t arrived yet (nor had their liquor license). But the most important element — the venue’s monster stage, sound and lighting system — was in place and ready for lift-off. Using an iPod plugged into the soundboard, Johnson and Leibowitz ran a brief test of the system, playing tracks by Red House Painters, The Replacements and Frontier Trust, finally settling on Beck’s Sea Change. Even with one of the large stage speakers still yet to be hooked up, the sound was pristine — huge and full-bodied — and very loud. It’s a first-class set-up that will quickly be recognized as one of the best performance rooms in the city. And unlike Sokol Underground, where large metal poles always block your view, all sight lines are unobstructed. Beyond the stage and sound, the lounge itself sports a clean, comfortable, lived-in feel, from the booths along the south wall to the pinball-machine room in the back. The place even boasts two sets of restrooms — one by the pinball room, the other to the right of the stage. Johnson will get to know them intimately as he’ll be the guy cleaning them every morning after what he hopes will be plenty of use. Although lifted from a Fugazi song, the club’s name — The Waiting Room — is appropriate for reasons beyond sheer tribute. Leibowitz and Johnson waited 11 years to open the club. Part of the reason for the delay was that they were too “picky.” Over the years they considered venues in the Old Market, along Farnam St., in South Omaha and even the building that currently houses Sullivan’s. Then this last December Johnson stepped into Marnie’s Place at 6212 Maple St. and talked with the building’s owner. Within weeks, he was handed the keys. Friday night’s opening will feature Art in Manila (a new band fronted by Orenda Fink, who has released albums on Saddle Creek Records), Lawrence band 4th of July and folk band Black Squirrels. The following night, punk bands Bombardment Society, Now Archimedes!, and The Stay Awake take the stage. Sunday night’s show is a special invitation-only affair that will feature one of the area’s biggest acts. That’s three nights of indie and punk bands, and although One Percent built its rep on indie music, Johnson and Leibowitz know that they’ll have to reach beyond that genre to keep the bar open, especially with Saddle Creek Records’ mammoth Slowdown entertainment complex opening downtown in just a few months. “These days, I’m really getting into country music,” Johnson said, adding that had someone stepped into the building anytime over the past month, they would have heard plenty of pedal steel along with the hammers and saws. Which begs the question how One Percent will be able to book Sokol, Slowdown and their own club without an obvious conflict of interest. Leibowitz said The Waiting Room isn’t in those venues’ league. This truly is a landmark year for Omaha’s music scene as two of its prominent music venues are celebrating 10-year anniversaries. When The Waiting Room was announced a decade ago this month it was a surprise to many. We knew the dudes at One Percent Productions were looking for a place to call their own rather than to continue renting Sokol Underground; but few people knew where they were looking. There had been rumors that the Sokol facility was in their cross hairs along with the Saddle Creek Bar (can you believe at one time both The Slowdown and One Percent were looking at the Metcalf Park area for their locations?). For the guys at One Percent Productions, a long-held dream is about to become a reality. That dream is called The Waiting Room, a new venue slated for an early March launch at 6212 Maple St., the location of the now-defunct Marnie’s Place. The impending opening is bound to send shockwaves throughout the Omaha music scene, sending askew the delicate balance that exists among a handful of clubs that also host indie rock shows. Why all the hoo-ha? 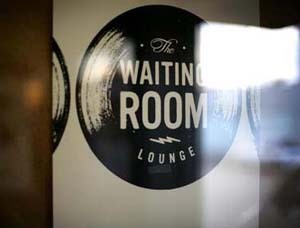 Because The Waiting Room is owned and operated by Jim Johnson and Marc Leibowitz, the dynamic duo behind what is arguably the city’s most important promotion company, One Percent Productions — the folks who, along with Saddle Creek Records, helped forge this city’s reputation as a national indie music Mecca. Anyone who’s known Johnson and Leibowitz over the past decade knows that they’ve spent almost as much time looking for a suitable location to open their own club as they have booking shows. Now they’ve found it in the heart of Benson. The estimated 250-capacity club will book a wide range of music in a variety of genres, not just the indie fare that One Percent is known for. Johnson said in addition to local and national indie bands, look for more adult-oriented music, including rockabilly, country, folk, reggae, blues, and yes, even cover bands. Plans call for live music five days a week, with Leibowitz doing the lion’s share of booking. Facility-wise, look for the usual bar accoutrements, including pool tables, pinball machines, a good jukebox, even those stupid bar-top videogames. The establishment will have a full liquor license, but no food will be served, which means — you guessed it — smoking will be permitted. That’s all fine and dandy, but what about parking? Johnson said there’s plenty of street parking and also some parking to the south of the building, behind the hardware store. So what about that name, The Waiting Room? Johnson said it’s derived from the opening track off Fugazi’s classic 1989 album, 13 Songs. The throbbing post-punk anthem sports the line: “I won’t make the same mistakes / Because I know how much time that wastes / Function is the key / In the waiting room.” It’s kind of like how the promotion company’s name came from a Jane’s Addiction song, “1%,” which has the inspiring lyric, “I’m tired of living the bosses’ dream.” The duo was toying with the idea of renaming the club The Liftticket Lounge since it’s the site of the fabled venue that hosted, among others, Nirvana and Soundgarden. “The room has a legacy,” Johnson said. “It’s kind of cool.” In the end, they preferred to leave that legacy as part of Benson’s history. The other burning question is how the club will impact One Percent’s ongoing promotion operations. Over the past decade, One Percent has booked nearly 1,000 shows primarily at Sokol Underground and Sokol Auditorium, but also at O’Leaver’s, The Saddle Creek Bar, The 49’r and nearby Mick’s. So what’s going on at The Waiting Room tonight? So-called “dirt country” band Turnpike Troubadours plays TWR tonight with Dalton Domino. $30, 9 p.m.
Tonight’s Orgone show at The Waiting Room will be the last at the club for a week as it undergoes a number of improvements. Sharp-eyed and sharp-eared patrons already noticed the recently installed new soundboard. 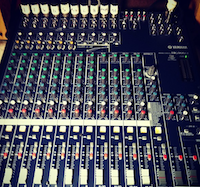 Tomorrow night So-So Sailors play at O’Leaver’s with Django (the D is silent) G-S. And speaking of improvements, O’Leaver’s yesterday tweeted this photo of that club’s new soundboard. Considering the size of the club (and it’s PA) it’s more than they’ll ever need. $5, 9:30 p.m.
Also Saturday night, In Love plays at Slowdown Jr. with Tie These Hands, Flight Metaphor and Joe Champion. $7, 9 p.m.
Thunder Power announced a 7-date tour this month (including a Jan. 18 date at The Side Door) in support of their new EP, Volumes, which recently was released on Slumber Party Records. 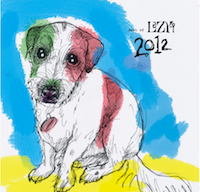 And even though the holiday is over, you can still download CoCo Art’s Roam For the Holidaze Vol. 4 compilation, featuring new songs from Todd Fink (The Faint), InDreama and Dereck Higgins among its 21 tracks. The best part: It’s absolutely free. Check it out. And speaking of free compilations, win yourself a copy of the Lazy-i Best of 2012 sampler CD! Tracks include songs by Gordon, Ember Schrag, The Faint, Simon Joyner, Mere Mortals, McCarthy Trenching, Ariel Pink’s Haunted Graffiti, Nicky Da B, Violens, Cat Power, PUJOL, Millions of Boys and lots more. The full track listing is here (scroll to the bottom). To enter the drawing to win a free copy send an email with your name and mailing address to tim.mcmahan@gmail.com. Hurry! Deadline is Jan. 15. Marc Leibowitz, left, and Jim Johnson stand in The Waiting Room just prior to the venue's grand opening in 2007. Seems like only yesterday that Jim Johnson and Marc Leibowitz were standing in the empty, broken down building that once housed the legendary Lifticket Lounge at 6212 Maple St. and talked about how they were going to transform it into their dream music club. That was five years ago. Within its first year of operation, The Waiting Room gained a rep as one of (if not the best) place in town to see rock shows, fueled by stellar bookings from the owners’ own One Percent Productions, fantastic bar service and a killer sound system. Little did they know that their efforts would be the driving force behind Benson’s transformation into one of the city’s most vibrant entertainment districts. Tonight the guys — along with everyone who’s enjoyed a show there — will celebrate The Waiting Room’s five-year anniversary, and five stellar performers are helping blow out the candles: Little Brazil, The Photo Atlas, Great American Desert, DJ Kobrakyle and the night’s headliner, Criteria (yes, that Criteria). Expect a crowd. $5, 9 p.m. Hopefully we’ll all be doing it again in 2017. Also tonight (but in Lincoln) it’s the debut of the Good Speaker Fest, a night of music organized and curated by Darren Keen, a.k.a. The Show Is the Rainbow a.k.a. Bad Speler a.k.a. Touch People. We’re talking 21 bands performing at three Lincoln establishments: The Bourbon Theater, the recently opened Mix: Bar and Arcade and the legendary Yia Yia’s Pizza. It all starts at 6, and admission is only $7. L. Kent Wolgamott’s got all the deets in this Ground Zero cover story. And then tomorrow night (Saturday) it’s Icky Blossoms in Slowdown’s big room with Midtown Marauders and Pony Wars. As mentioned in yesterday’s Icky interview, the goal is for the band to generate as much cash as possible to help get them to SXSW in Austin next week. $7, 9 p.m.
Also Saturday night down at fabulous O’Leaver’s, Saudi Arabia (formerly The Dinks) plays with The Eightysevens. $5, 9:30 p.m.
And over at Stir Lounge in CB The Whipkey Three plays with Fizzle Like a Flood. $5, 9 p.m.
And the party continues at The Waiting Room with Landing on the Moon, Moscow Mule, The Big Deep and Vago. $7, 9 p.m.
And down at The Barley Street Tavern, Midwest Dilemma opens for Les Jupes. $5, 9 p.m. Finally, Sunday night at The Waiting Room it’s Eisley (Equal Vision Records) with Tallhart & Christie Dupree. $13, 9 p.m.
By now you’ve already heard the news: The Omaha City Council this afternoon voted unanimously in favor of extending the city’s bar hours until 2 a.m. beginning July 15. So now all you stinkin’ drunks who used to make that desperate run to Council Bluffs for last call can comfortably sedate yourselves from your favorite Omaha bar stools. This has got to be a dream come true for O’Leaver’s (Cha-ching!). But according to this story on KETV.com, a number of bar owners who “served an older, more mature clientele,” said they “have no intention of staying open until 2 a.m.” Huh?